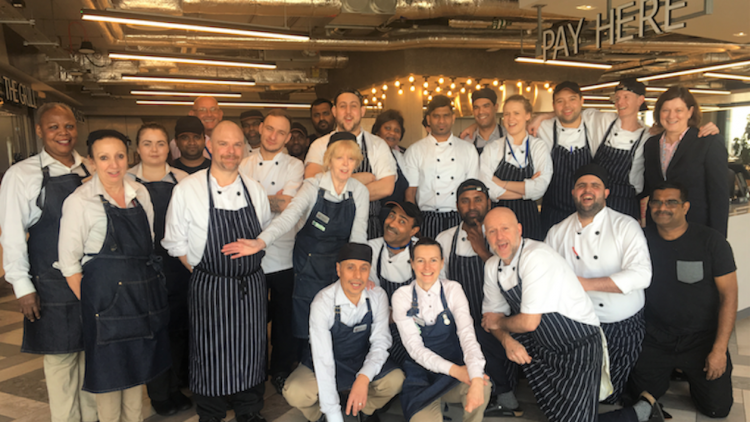 bartlett mitchell, one of the UK’s leading independent caterers, has been named in the ‘Best Companies’ to Work For list for the seventh year running. The company, which is one of the highest scoring hospitality businesses, has once again achieving a one-star accreditation in the process. Published annually, the list recognises the UK’s most attractive and effective employers. Participating businesses are judged on a number of factors, including workplace engagement initiatives, staff wellbeing, benefits, company culture and values. bartlett mitchell is once again ranked on the prestigious list following another successful year for the business, underpinned by strong growth in the company’s core markets. With a workforce that today exceeds 900 people, bartlett mitchell demonstrated a commitment to creating a highly engaged working environment. This year the caterer was especially commended for its individual training and development programmes offered to everyone in the company; and its volunteering scheme. More than 84% of the team agreed that the company genuinely cares about the environment and 68% of the team were happy with their work and home life balance. Wendy Bartlett, executive chairman of bartlett mitchell, said: “It is a tremendous honour to once again be recognised as one of the nation’s best employers.